How much would a Nicki Minaj feature cost them? Surely it's not worth the price considering how little the album is going to sell. How could the record label not lose money on an album like this? Nicki was on Fergie's album and this is guaranteed to sell more than that, so I think they're fine. It Was In Me is proof that Avril and Lauren Christy make magic together. It indeed sounds like I'm With You, which is still her magnum opus. I wish she worked with Lauren or The Matrix in general more after Let Go. Atleast on Under My Skin. It only took her seventeen years to work with her again. blaze_dave and Fanatical like this. I just don't think it was the right time for her to make an album and there was probably a pressure because it had been so long. But if she's not in it, it's obviously going to show. I don’t think her relationship with the Matrix ended very well, since they claim she took more credit than deserved for the Let Go songs. That's true but atleast they made amends. It took her long enough. Now if she would only reconcile with Chantal Kreviazuk. It seems she has a hard time having a professional relationship and friendship at both at the same time with women in the music industry. I wonder how her and Bonnie got along. niccolo and evangelion like this. I don't think she's not in it. Head is one of the most personal songs she's ever done. She wrote and even produced some songs, she's trying different styles and showing her voice. It's not Avril on autopilot like for the last album. Even Dumb Blond is definitely Avril. It's the same girl who sang Girlfriend, Everything Back But You, I Don't Have Go Try, Hello Kitty etc. People may not like this side of her personality, but that's not her problem at the end of the day. Music Is Life, Fanatical and -tastic like this. I saw a poster for this album on the tube in London today and I was AGOG. They've used this image and put the album title/release date over it and it actually looked pretty good. I feel like that says a lot about the label's feelings towards the actual cover. Jacques and andru like this. 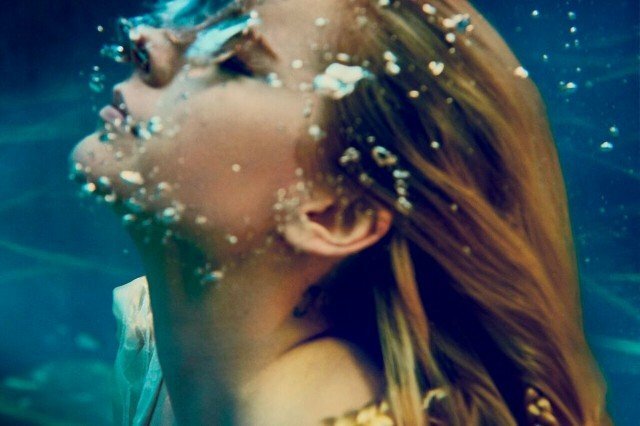 I'd actually love this to be the cover, it has far more impact than lying in shallow water holding an acoustic guitar in front of her naked body. Speaking of which, were any changes made to the cover? I recall it was down from her social media and website at one point? Smooth Criminal and blaze_dave like this. Not me thinking you were all joking about the Nicki Minaj feature, only to see the tracklisting is updated on iTunes confirming it. She also had very public falling outs with Butch Walker and Martin Johnson. Goddess sounds like the best track but that pronounciation of bahnanuhs is ridiculously hilarious. I just hope for a bop as good as Runaway. Verandi, BettaPlayThatSax and man.tis.shrimp like this. maneater83, monsterboy, Heartthrob and 2 others like this. -tastic and Music Is Life like this. This is poised to be one of the worst comebacks in recent memory. Fergie's probably still safe with the title, though. Her Bernie Jorps is perhaps upon us. I find it baffling that they are putting out snippets for this when there's still a week left until its release. I wouldn't say I'm a stan but all of her albums are at least serviceable and I actually thought self-titled was pretty great. I don't really expect anything groundbreaking from her but those snippets sound dire. I'll definitely still give it a listen upon release though. Those were different circumstances. Especially with Butch. Dr Luke had everything to do with that instance. And the Martin Johnson incident was just immature from both counts.